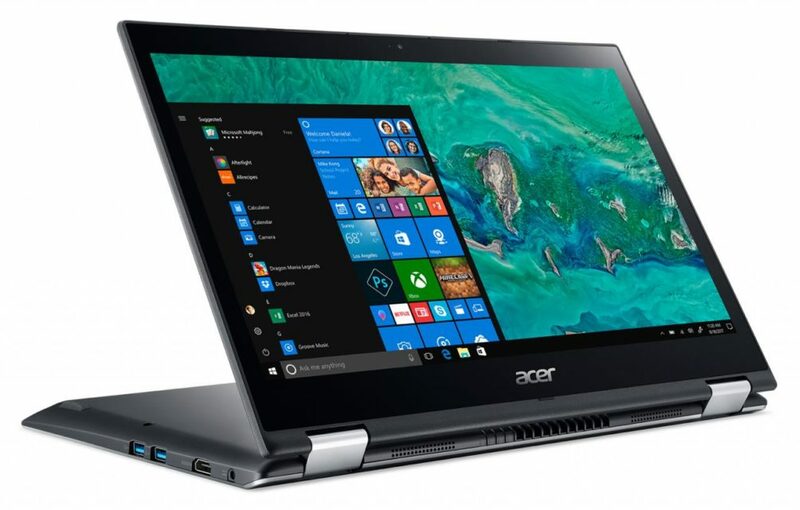 The Acer Spin SP314-51-3851 is a new 14-inch ultrabook convertible tablet that is intended for productive office use . Its base is built around a Core i3 Skylake, 4 GB of RAM, a 1.1 TB hybrid storage (128 GB SSD) and a beautiful full HD IPS touch screen. What’s more, its sleek and discreet hull combines with enduring autonomy for convenience on the move. It is displayed at less than 650 euros . As sober as it is, the design plays for a lot in the potential seduction of this Acer Spin SP314-51-3851. 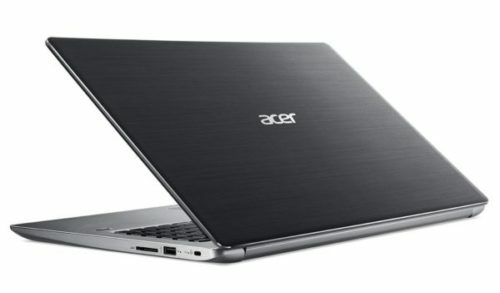 Acer played on the finishes with a soft, squared effect on the back of the lid and a brushed effect on the inside. These two surfaces are unfortunately entrusted to plastic and not to metal as is the case on the Spin 1. 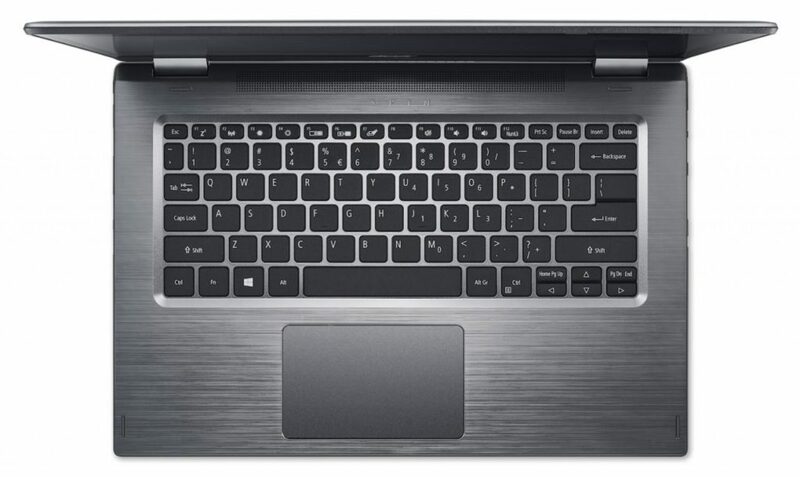 With an alliance of dark gray and black, the ultrabook does not leave the beaten path aesthetically. Its measurements are not the best optimized of its category and the ultrabook should weigh at arm’s length in tablet mode with its 1.7 kg . 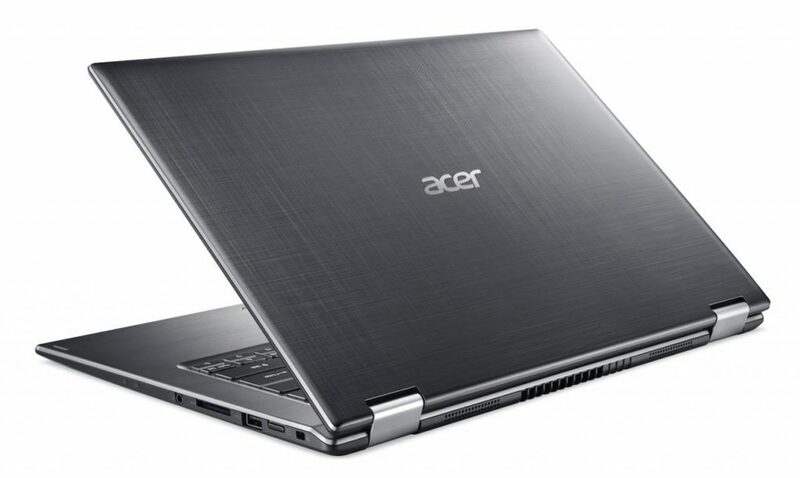 Because this Acer Spin SP314-51-3851 is thought initially for a fun mobile use. Indeed, its 360-degree rotating hinges allow the screen to adopt several positions: opposite for normal use, flat, in tent mode or in the easel function. Acer announces 12 hours of autonomy that it will be logically possible to reach in light use (without Wifi / Bluetooth, energy saving profile …). In common use, it is more reasonable to count on 8 to 9 hours , a satisfactory result. Determining this type of convertible configuration, the screen does not have the chance to display thin screen borders but comfort does not suffer, it’s more a story of taste and aesthetics. Its full HDresolution (1920 x 1080 px) will be ideal for reading your High Definition content thanks to its high display density while the IPS panel will be responsible for opening the viewing angles and faithfully reproduce colors. In addition, the brilliant touch surface will allow a playful interaction with the system but its visibility in the outdoors will be altered by some reflections. Storage is the second element to attract attention because it opts for a hybrid solution combining a dedicated SSD and a hard drive, particularly beneficial for the responsiveness of the system. Thanks to the 128 GB SSD , where you can sit the operating system and most programs and games, the loading times are visibly shortened and the system is otherwise smoother while the hard drive of 1 TB will load to house all your toy library. Taking advantage of this responsiveness, the Core i3 Skylake supported by 4 GB of RAM can flourish. Internet browsing, working on Office or video playback are perfectly handled by this duo, as well as light photo editing. But this base will not be able to tackle more demanding in terms of applications. The RAM in fairly small quantity will leave little amplitude in multitasking. Finally, the connector accepts all the necessary in standard formats. 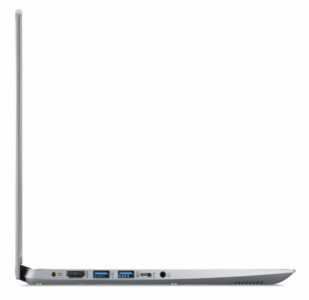 There is an SD card reader, an HDMI output and three USB ports including two USB 3.0. Recent Wifi AC and Bluetooth 4.1 modules are also designed for fast and reliable wireless data exchange. However, there is no USB Type-C port and fingerprint reader.